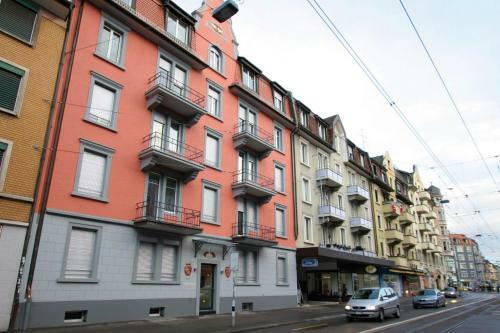 Apartment Swiss Star Marc Aurel is conveniently situated in Badenerstrasse 362 in Aussersihl district of Zürich in 4.1 km from centre. 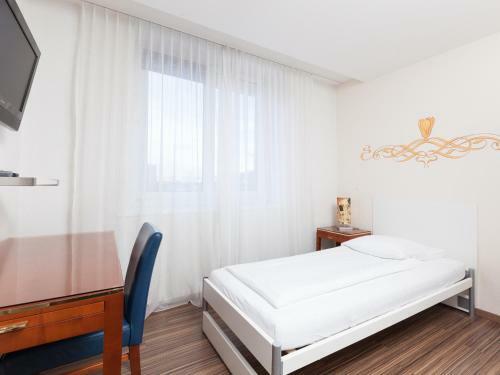 Apartment is close to Bahnhofstrasse, Swiss National Museum, Paradeplatz. 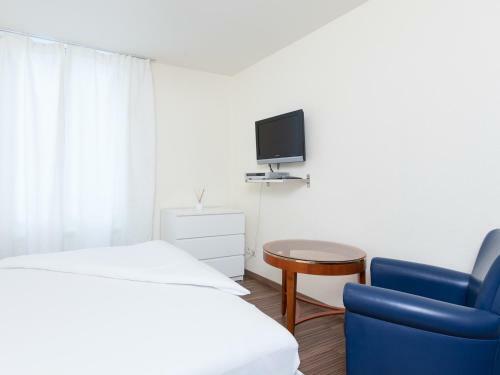 Apartment is a part of Apartments Swiss Star hotel chain. It is the best place for budget/backpackers, city trip weekend. The most proximate Zurich Airport is placed in 9.1 km from the hotel. Tourists can take advantage of the following amenities: indoor lift, it’s possible to settle with pets, comfortable family rooms, internet services. Payment cards accepted at this property: American Express, Visa, Mastercard. For comfortable accommodation tourists can choose one of the 4 rooms in apartment. Tourists can choose between different types of rooms: apartment, double, single. 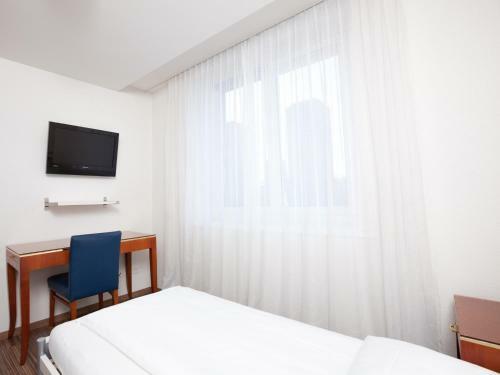 We provide the facilities such as free toiletries, refrigerator, microwave. En-suite room with a TV and fridge. Please note that the last 5 digits of your booking number are the access code for the Swiss Star Apartments. Please do not confuse this code with your pin code for the login to My Booking! Modern and functionally furnished apartment with a nice bathroom and a fully equipped kitchen with all necessary cutlery and crockery. Please note that the last 5 digits of your booking number are the access code for the Swiss Star Apartments. Please do not confuse this code with your pin code for the login to My Booking! Children and Extra Bed Policy All children are welcome. 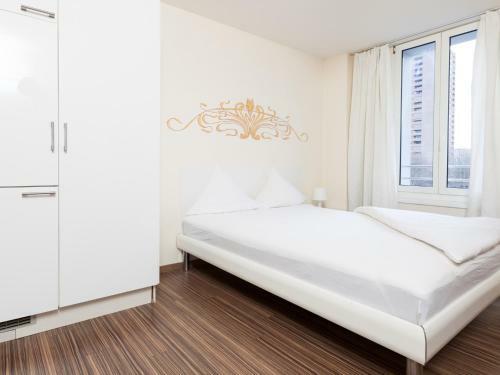 All children under 2 years are charged CHF 10 per night for children's cots/cribs. All further older children or adults are charged CHF 25 per night for extra beds. The maximum number of extra beds in a room is 1. Please note that the last 5 digits of your booking number are the access code for the Swiss Star Apartments. Please do not confuse this code with your pin code for the log-in to this website. There is a key box behind the building where you can get the keys with this access code. After self check-out, you have to put the keys back in the key box. Please note that you have to register before using the access code. The property will send you an email with all the important check-in information after booking. Please note: - Apartments Swiss Star Marc Aurel has no reception. - There are no meal options for this property. - The full amount of the reservation has to be paid by credit card. - Cash payments are not accepted.